My history of following Scotland is chequered to say the least. My first away game(s) was the 1982 World Cup in Spain when I was a wee lad of only 17. (Still cannot understand why my parents let me and my mate go abroad on our own at that age). It was a great trip despite the inevitable outcome. Dave Narey’s goal gave me one of my favorite memories only to be equaled some years later by Faddy’s goal in France. When I married Alison we really took to following Scotland as a recreational pastime. (I think it’s best looked upon that way). We have met some amazing people within the TA and have travelled to places I would never have dreamed of visiting. 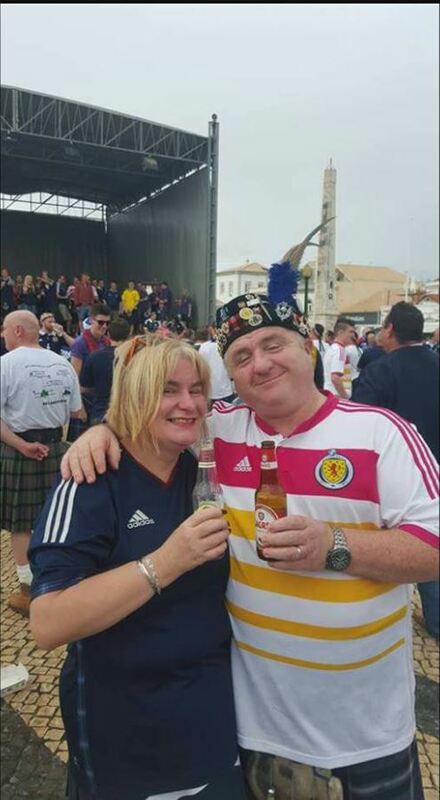 Throughout these travels I have become aware of the work carried out by the Tartan Army Sunshine Appeal. One of the more unusual places we visited was Lichtenstein. 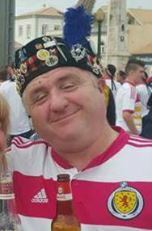 As part of the Dunfermline Tartan Army I helped organise the buses from Munich to the game. All profits from these buses were donated to TASA. I was privileged to be at one of their donations in Poland. It was at the Fundacja Dziecieca Fantazia – The Childrens Fantasy Foundation which was their 50th consecutive donation. This charity tries to grant the wishes of terminally ill kids all over Poland. The day was highly emotional for all involved but was a tremendous experience. The work carried out by TASA is now known in all parts of the world and is something the steering group should be very proud of. They have spread the goodwill of the TA and Scotland to all corners of the globe. I hope to attend more of these presentations in the future but its up to the TA and the people of Scotland to keep donating be it through buying merchandise or fundraising so that TASA can continue to do their great work.